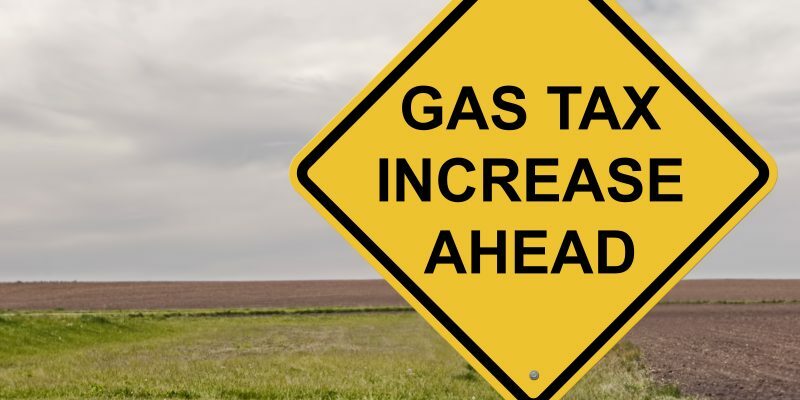 Louisiana’s gas tax has remained unchanged for two decades, despite yearly attempts to increase it, including a new push organized by the Louisiana Coalition to Fix Our Roads. The coalition has begun working on draft legislation, developing an initial eight-month media campaign to the general public and legislators and hosting an “Infrastructure Day” at the Capitol next session. Louisianans currently pay 38.4 cents per gallon in state and federal taxes, including 20 cents in state charges. The state has a reported backlog of $12.7 billion in road and bridge needs. “Louisiana cannot wait until 2020,” the coalition argues, because the Louisiana Department of Transportation “will be unable to match up to $70 million in federal funds next year,” thereby forfeiting money that could have otherwise been spent on infrastructure improvements. Because of the state’s shortfall, the coalition proposes introducing a fuel tax to be phased in over a 10-year period beginning in 2019. The new tax would add 6 cents to the price of gasoline and 4 cents on diesel purchases. The draft legislation also would increase the tax by an additional two cents every year for 10 years, but critics say it would be a bad deal. “The road builders’ gas tax hike is looking worse and worse for Louisiana taxpayers,” John Kay, director at Americans for Prosperity (AFP), said. Louisiana has the sixth oldest gasoline tax in the nation, according to a survey by the National Conference of State Legislatures (NCSL). Only Alaska, Oklahoma, Mississippi, South Carolina and Tennessee have had their gasoline assessment regulations longer than Louisiana. In 2016, Gov. John Bel Edwards appointed an 18-member panel to study the gas tax to determine how increasing it could better fund roads and transportation improvements in the state. But after increasing taxes by nearly $7 billion in three years in office, Edwards’ opponents say that increasing the state’s gas tax is unlikely. Earlier this year, Rep. Steve Carter, R-Baton Rouge, proposed a constitutional amendment that would have removed the existing prohibition on local governments from levying taxes on motor fuels. The House Ways and Means Committee declined to advance the proposal to the full House, voting 8-7 against it. Those opposing the constitutional amendment said they were concerned that drivers would go to other communities to buy gas to avoid paying the increased local costs, and that any new revenue could be diverted to funding statewide projects. Carter proposed the measure after failing to get House support last year for a statewide gas tax hike. Carter has said that gridlock in the capitol region is so severe that voters should be able to decide if they want to enact local gas taxes to help relieve congestion. Some taxpayers in Natchitoches Parish have argued that their roads are worse than Baton Rouge’s, and could be the worst in the state. They created a “Fix the Roads” Facebook page to post road closure information along with photos and videos of local driving conditions. Residents say the tax dollars they’ve already paid haven’t gone toward fixing their roads, and paying more taxes would likely still result in poor roads and a “broke” parish. The roads are so bad in some areas that public transportation has halted, compactor stations at several locations are closed, and the post office suspended deliveries in some areas until the roads are fixed. The Louisiana Coalition to Fix Our Roads is soliciting funds for public outreach, a move Kay says is a plea from industry insiders to grow the coalition among people who will directly profit from a gas tax hike. Coalition members include industry partners from the Associated Building Contractors of Louisiana, Louisiana Motor Transport Association, Louisiana Association of General Contractors, the Concrete and Aggregates Association of Louisiana and many others. Notable is the involvement of the Louisiana Asphalt Pavement Association, whose executive director, Erich Ponti, is a former state legislator from Baton Rouge. Referring to the sales tax increase measures on ballots across Louisiana earlier this month, Kay notes that voters rejected them in Grant, Iberia, Lafourche, Livingston, and Terrebonne parishes. Yet some state lawmakers who represent these parishes voted to increase the state sales tax earlier this year, which their constituents voted against this November. Kay pointed out they include: independent Terry Brown (Grant); House Speaker Republican Taylor Barras (Iberia); independent Jerome Richard and Democrat Jerry Gisclair (Lafourche); Republican J. Rogers Pope (Livingston); Republicans Tanner D. Magee and Jerome Zeringue (Terrebonne). This article was first published by Watchdog.org.